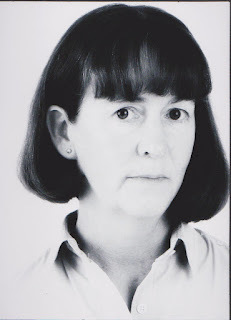 This week I'm taking a break from blogging my novel to chat with friend and crime writer Angela Wren. Angela, you’re a member of both the Romantic Novelists’ Association and the Crime Writers’ Association, and your books have elements of both crime and romance to them. What drew you to these two very different genres, and how do you balance them in your stories? 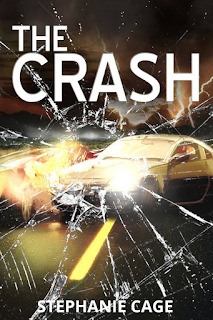 Accident times 2 drew me to these genres! Once I’d made up my mind that I could write a full novel it just so happened that my idea for that story was built around a romance. Being a member of the RNA gave me access to the New Writers’ Scheme and Le Cerisier – the name of that particular work – was submitted twice. My second story also involved a romance but intrigue too. That was submitted to the NWS twice and came back the second time with some comments about balancing the story across the two different genres. I started my third novel, Messandrierre, which I had always known was a dark tale, but I could not stop myself adding in a romantic undercurrent. But it was when I attended a crime writing course that really made me focus my attention. During the usual who-I-am-and-what-I-write round-up one of the tutors said, ‘So why are you here?’ It was a very valid question and it made me think. Now my stories are all about the crime. That takes precedence in the vast majority of scenes. But my investigator, Jacques Forêt, is a Frenchman, so there always had to be some woman hanging around somewhere. As a result, my secondary character of Beth Samuels was born. The ‘will-they-won’t-they’ question is a secondary plot line in Messandrierre. But book 1 in the series was also about establishing these two characters and in book 2, Merle, the romance element is still there but to a slightly lesser degree. This year you attended your first Crime Writers’ Association Conference in Edinburgh. How did you find it? What were the highlights? Daunting! I went by myself fully aware that I was very unlikely to meet anyone I already knew. Friendly – everyone I met was full of advice and only too willing to answer questions from a complete newbie! I felt very much at ease within minutes of being there. As for the highlights, well the city of Edinburgh itself, of course. I did have some free time to go to the Writers’ Museum which was fascinating – you can read my subsequent blogpost here. But I guess the absolute best bit was to have drinks and canapes in the company of Ian Rankin and Alexander McCall Smith! There were about eighty other authors there as well, but I thought it was awesome. Sounds like a great event, but then so are the Romantic Novelists' Association conferences. So I was wondering... If you were only allowed to read and write in one of the two genres, crime or romance, which would you pick and why? Crime I think. I grew up reading Agatha Christie, Conan Doyle, Willkie Collins and the rest and I still like to read a good crime novel. I’ve always loved puzzles too and for me, plotting the novel, working out the puzzles to present to reader are the things that really test my mind. I like a challenge and plotting a crime novel is certainly that! Having written mainly romance for some years, I’m now experimenting with my first crime novel. Do you have any tips for me? Good advice, thanks. Which are you reading at the moment? Crime or romance? I’ve just finished ‘The Tea Planter’s Wife’ which is basically a romantic saga. I’m about to start ‘Death of an Avid Reader’ by Frances Brody and on my phone – great to read from when I’m travelling - I’m half-way through ‘Dead Simple’ by Peter James for my local book club. Can you recommend one romance book you think more people should have read? ‘The Lost Girl’ by D H Lawrence. It’s a lengthy book and I can understand why the central character may not appeal to a modern audience. But the journey within the story that she undertakes to find the love of her life is so perceptively told and the prose so beautifully written and coloured, that it seems to me a great shame it is not more widely known. I read it for the fourth time a couple of years ago and it still pulled at my heartstrings. And which crime author would you like to see receiving more acclaim? I guess that has to be Robert Louis Stevenson. Everyone seems to think he is defined by ‘Treasure Island’, ‘Doctor Jekyll and Mr Hyde’ and ‘Kidnapped’. But he wrote so much more and, not strictly a crime writer in the modern sense, I know, but his stories do involve misdeeds of varying degrees. ‘The Master of Ballantrea’ for example, or ‘The Rajah’s Diamond’, ‘The Wrong Box’. His collections of stories are fascinating. 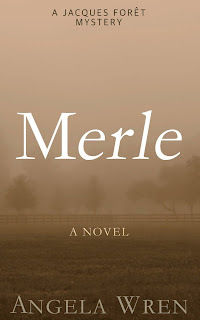 I loved Messandrierre, and you’re about to launch the second book in the series, Merle. What do fans of Jacques Forêt have to look forward to in book two? Thank you, great to know you enjoyed Messandrierre. 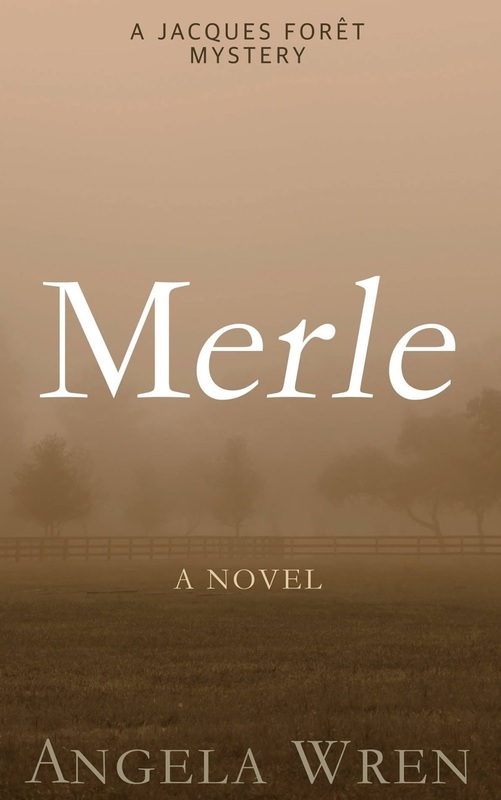 In Merle, Jacques is plunged into the murky world of commercial sabotage. It’s a place where people lie and misrepresent, and where information is traded and used as a threat. Jacques is asked to undertake an internal investigation for the Vaux Group who operate in Mende. As he works through the complexity of all the evidence, he finds more than he bargained for, and his own life is threatened. When a body of a woman is found, it appears to be suicide. But as the investigation takes another turn, Jacques suspects there is more to it. Jacques has to work who is behind it all…and why? Meanwhile, in the village of Messandrierre, there is an unexpected death which changes the dynamics between then villagers and Beth has some decisions to make and some serious thinking to do too. Tell us about your plans for the launch event. On July 5th, when Merle is launched, I’m having a ‘Meet the Authors’ shindig at Doncaster Little Theatre from 2.00pm and I’m being joined by yourself and author, Sheila North. There will be some short readings, a chance for people to ask questions and an opportunity to meet us all individually and get signed copies of books. Then in the evening, the three of us are doing exactly the same thing at Cast in Doncaster from 7.00pm. Thanks very much for visiting today, and I look forward to seeing you at the launch. Thanks for inviting me Stephanie and I’ve got my fingers crossed for the launch! See you there. I do hope any readers who are in Doncaster will come along and see us on the day. And if anyone's missed Messandrierre, they can catch up here or get a head start on the next book by pre-ordering Merle here.